We all experience moments in life where a decision we make will take us one of two ways. You say yes to the boy or no to the job. Baller vacation or save for a rainy day? We ponder the outcomes and make our best educated guess. How about drinking and driving? We wonder this month how so many people can make a decision like this so lightly. Our topic covering this month’s charity spotlight is Drunk Driving. Now, I know what you are thinking: I’ve heard this spiel time and time again. And yet day after day we STILL lose countless brothers, sisters, mothers, and fathers to the senseless act. This month, we chose to spotlight and donate to Mothers Against Drunk Driving, or M.A.D.D. for short. They estimate that 2 out of every 3 Americans will experience a loss due to a drunk driving event. Please notice I didn’t say “accident”. No one accidentally gets drunk. No one accidentally gets behind the wheel and puts other lives at risk. For the few that may read these words, we implore you: Get an Uber. Call a friend. Find another way. Drunk driving leaves voids in hearts that will never be filled. Founded in 1980 by a mother whose daughter was killed by a drunk driver, Mothers Against Drunk Driving® (MADD) is the nation’s largest nonprofit working to end drunk driving, help fight drugged driving, support the victims of these violent crimes and prevent underage drinking. MADD has helped to save more than 350,000 lives, reduce drunk driving deaths by more than 50 percent and promote designating a non-drinking driver. MADD’s Campaign to Eliminate Drunk Driving®calls for law enforcement support, ignition interlocks for all offenders and advanced vehicle technology. MADD has provided supportive services to nearly one million drunk and drugged driving victims and survivors at no charge through local victim advocates and the 24-Hour Victim Help Line 1-877-MADD-HELP. 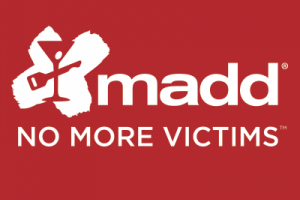 Visit www.madd.org or call 1-877-ASK-MADD.